Living in Saigon, I’m constantly adding new Vietnamese words to my vocabulary. It’s fascinating how some terms stick straightaway, while others, regardless of how many times I run into them, refuse to integrate into my lexicon. For instance, I can’t seem to remember the words for “menu” even though I ask to see one practically every day. However, just one tasty encounter with soft-shell crabs was all it took for the words cua lot to be forever seared into my mind. I guess the part of my brain that processes new information is directly connected to my taste buds. I visited Quán 94, a restaurant specializing in crabs, a few weeks back with a travel journalist named Peter. I was so stoked about the place after my initial visit that I returned less than a week later with a posse of friends because great food begs to be shared. A section of the restaurant’s entryway functions as a makeshift kitchen, and the soft-shells are prominently displayed front and center. 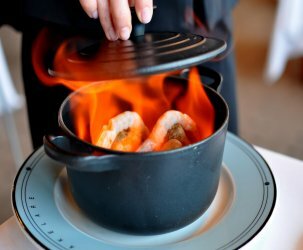 There’s something strange and yet strangely appealing about seeing the crustaceans alive and kicking prior to consuming them. 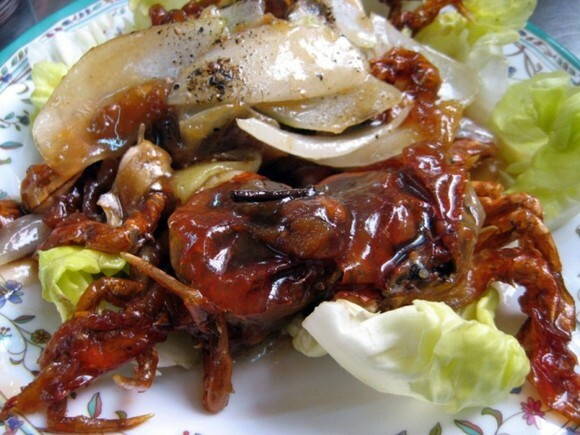 The not-to-be-missed dishes are the soft-shell crabs with tamarind (cua lot xao me – 75,000 VND) and the traditional battered and deep-fried soft-shell crabs (cua lot chien bot – 75,000 VND). The tamarind variety was doused in a glossy sweet and sour sheen that managed to leave me speechless. The soft-shells’ texture was nothing short of perfect and absorbed the tamarind sauce unexpectedly well. The battered and deep-fried ones were served up golden and crispy with a condiment made from fish sauce, ginger and chilies that complemented the texture and flavors beautifully. I can’t believe soft-shell crabs are available in Saigon for $2.34 a piece! Criminal. The glass noodles sautéed with crab (mien xao cua – 70,000 VND) and shrimp (mien xao tom – 70,000 VND) were also fantastic. 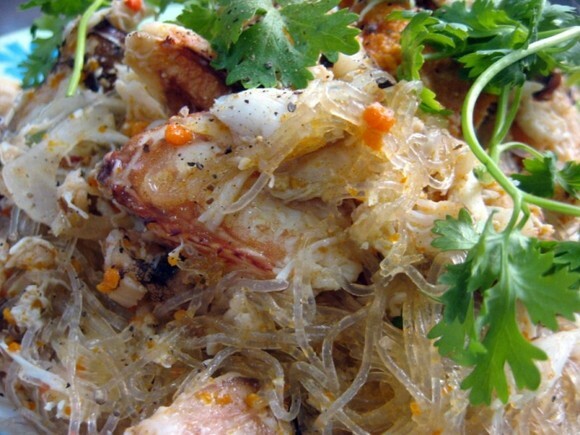 Flavored with fish sauce and potent black pepper, the crab glass noodles contained generous hunks of meat and roe. Sure, there was the occasional shell, but I didn’t mind because these noodles were on par with Grandma’s. The consistency of the shrimp glass noodles was unbeatable and my dining companions were pleased that the shrimps were served peeled, a rarity in this country. 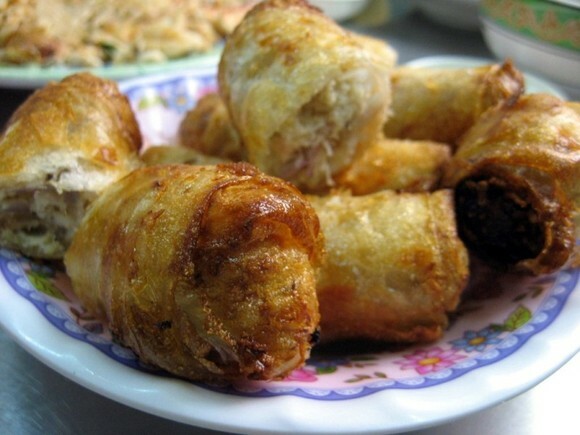 The crab-stuffed egg rolls (cha gio cua – 55,000 VND) were deep-fried to order and served with vermicelli rice noodles, fish sauce, herbs, and lettuce. At 11,000 VND a piece, these were the priciest cha gio I’ve ever encountered, but absolutely worth every dong because the kitchen didn’t mess around with fillers like taro, onions, and woodear mushrooms. The innards were one-hundred percent pure crab meat. I LOVE crab, and those cha gio look absolutely perfect. Swallows. More of a ghe man myself — once had a Biblical experience in Phan Thiet with a large plain steamed ghe which broke up into large pieces so easily and then we just dipped the chunks into a dish with the standard mix of lime, salt, pepper and chili and washed it down with cold Saigon beer. Can’t wait to try these, I am drooling again, darn it! Can’t help but noticing the discrepancy between the name of the resto Quan 94 and the address 84 Dinh Tien Hoang St. I just want to be sure to go the same one, I understand that imitation restaurants usually open near the real ones. Did this one move from its previous location 94 to 84? Wow! This is really expensive food by Vietnamese standards. @N. VN is the last place you should want to worry about people ripping you off if you’re a foregner cause it’s still cheap compare to whereever you came from. You need to relax and enjoy life a little! @the author: wow 11,000 vd a piece sounds like a huge rip off even to me. I was one of the lucky few in the crab shack entourage and must say that every bit of this meal was ngon qua (delicious). Un-pictured here are the deep fried ones, which are a guilty pleasure like elephant ears at the carnival. I’ve been meaning to sneak off for a plate…. 11,000 VND for a cha gio? Are you sure they didn’t rip you off? Tia – They were decadent little things, but in terms of bang for buck, pork rules. 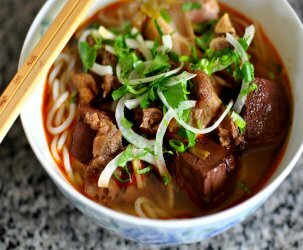 Teddy – I had the opportunity to try ghe last week in Nha Trang, but was so fixated on cua lot that I didn’t give ’em a shot. I will be heading to Phan Thiet/Mui Ne in a bit, where do you recommend I go for a equally biblical experience? Htran – From what I hear, Quan 94 used to be located at 94, but moved to 84 and kept their old name. I think this is the real deal. And if it’s not, this imposter’s got it going on. user – Yah, but totally worth it. Today I was charged 20,000 VND for a small plate of chicken sticky rice, now that’s a rip off. Hawk – Let’s eat again soon! N – Nah, that was the stated price on the Viet and English menu. But like I said, they don’t mess around here with fillers here. It’s hilarious when someone feels the need to lecture people over stuff they say themselves, one comment later. Yes, I’m totally relaxed now. 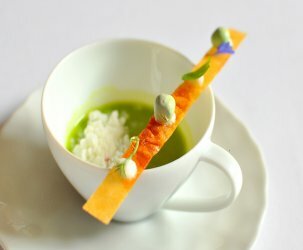 It’s March 2009, less than one year after the Gastronomer wrote this entry. I can report that while still delicious, cua lot xoa me now costs 120,000 VND. The Vietnamese folks I dined with thought the whole menu was quite overpriced. Upstairs was nice and cool though! I enjoy your stories very often because they are published in an understandable coherent. So I can study them although I come from Germany and have some problems to understand English stories. It turns out there are quite a few Quan 94 clones along that street nowadays. We accidentally went to a different one but still enjoyed it. We also saw (afterward) that there is one at #94. I guess the more the merrier! This was my go to spot when I went to Saigon. Thanks for bringing back the memories. The cha gio were out of this world. 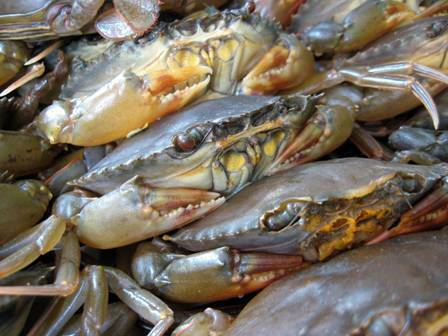 I am planning to bring my friends there coz they’re are craving for soft shell crabs in Saigon. Just want to check if the address is really Dist 1 coz when i searched for it it shows that it’s located in Binh Thanh district. I went in that area before and is it really near the Binh Than Hospital? Belle – The address provided is correct. I see oki i’ll broom broom my moto and start at the end of ton duc thang to search for that mouthwatering crabs! Yum yum! Thanks gastronomer! My wife and I just ate here and it was awesome! Unfortunately, they were already sold out of the soft-shelled crabs for the night, so we settled for some claws (which were still amazing). Our bill came to 424,000 dong. I have been keen on having some good seafood in hcmc for a while now! I was a bit concerned it has closed since your post but looking on your last comment it still open! Thanks for the recommendation!